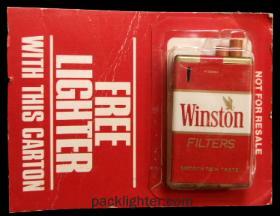 Pack lighter - a miniature or actual size lighter that exactly imitates a pack of cigarettes. 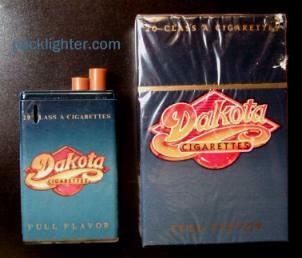 Lighter is activated by depressing cigs to actuate spark and ignite flame. Advertising lighter - Any lighter that has advertising on it. 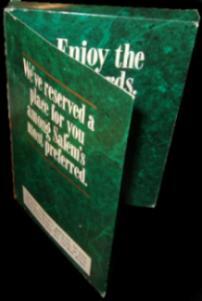 Typically a zippo type or flip cover style of lighter-no cigs. Striker lighter - Any lighter that has a removable sparking rod where the rod is then struck on a spark strip on lighter to light flame. 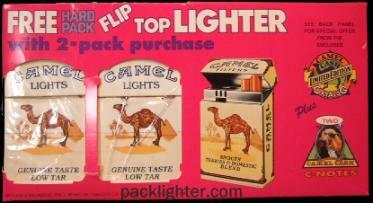 It is believed that TOM LITE was the firstpack lighter mfgr. 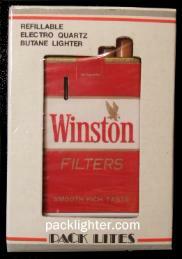 early 80's , then their name changed to Pack Lites about 1985. Both were made in Japan. Somewhere the name was shortened to PACK LITE along 1990 and moved to Korea or at least another manufacturing company was started in the late 80's named Pack LITE. The name Pack LITES is found made in Japan and Korea. 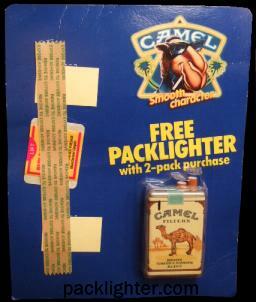 These early pack lighters were almost always refillable. 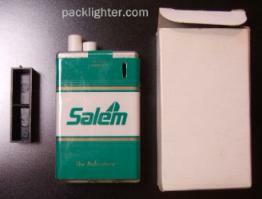 Pack lighters seemed to be everywhere in the early 90's and most of those were non-refillable made by Pack LITE of Korea. These had the clear bottom for viewing fluid level. 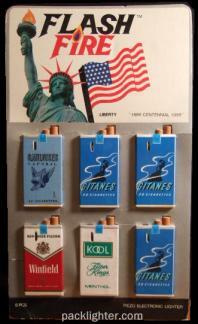 Many cigarette manufacturers had "freebie" pack lighters with multipack purchases or even single packs. 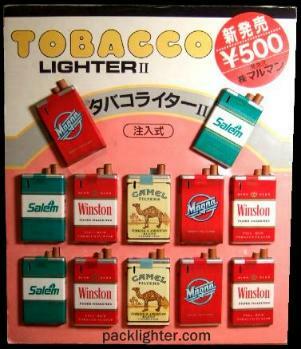 These lighters were hot! 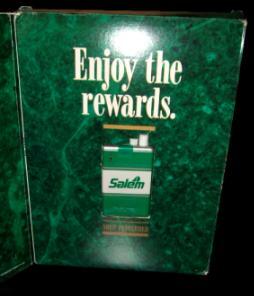 FREE pack lighters were everywhere! 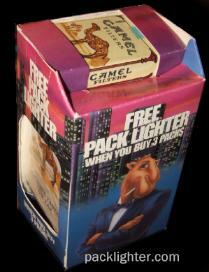 for your free pack lighter. 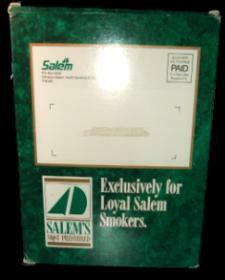 Pack lighters are rarely seen in production today. I haven't seen anything new since '02 or '03.